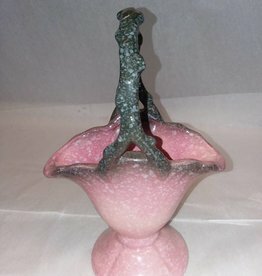 c.1940, Hull Basket Vase, marked W9-8 3/4" USA, pink w/mottled green handle. Very nice condition. 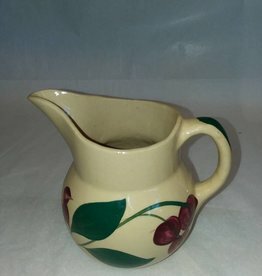 9" tall by 6" wide by 4.75" deep. 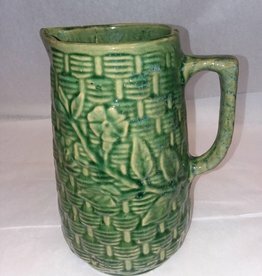 c.1920, A very nice McCoy Pottery pitcher with morning glories over a basket weave design in green. 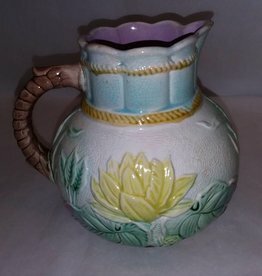 This piece is called Morning Glory. 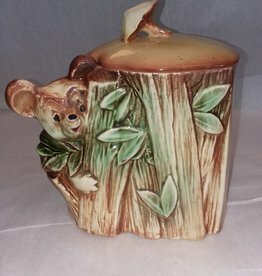 Very Good overall condition, stands 9" tall & weighs 3.4 lbs. 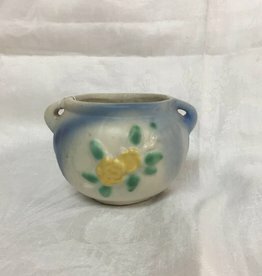 E.1900's, Double handle early pottery bowl planter/vase. 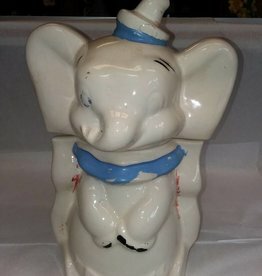 No maker's mark, possibly from Zanesville, Ohio area. Nice patina & coloring. 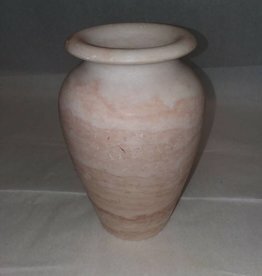 3.25' tall & 5" diameter. 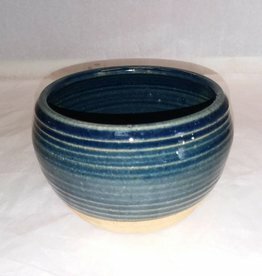 Blue & tan ribbed pottery planter. 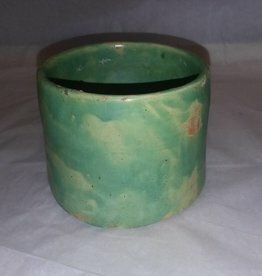 5.75" x 3.75"
Blue & Tan Pottery Planter, 5.75" x 3.75"
c.1970. 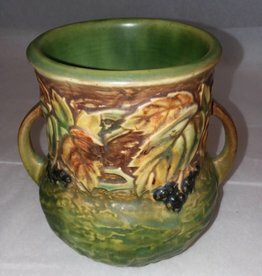 Homemade green pottery planter. 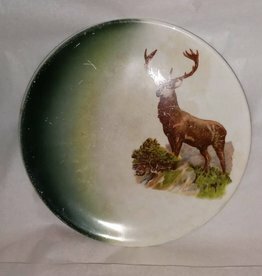 4.25 x 3.5"